All eyes were on an Aidan O’Brien-trained War Front colt, U S Navy Flag, after he had won the Darley July Cup by a length and three quarters. Another O’Brien-trained son of War Front, Fleet Review, received rather less attention but he ran a blinder to be third at 50-1 under Wayne Lordan. On Betfair, his SP was 118-1. At the risk of being accused of after-timing, he did not warrant going off at that price. 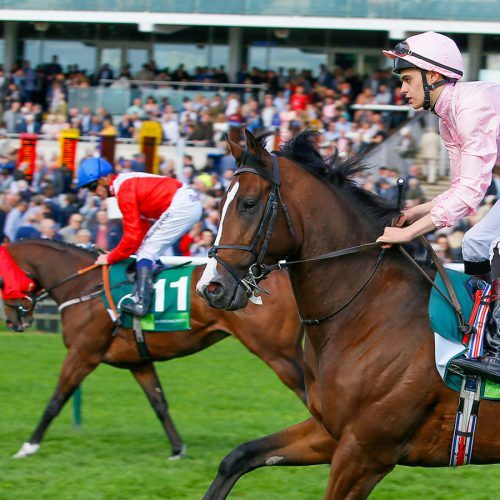 After all, he had shown himself to be in good heart on his previous start, when landing a Listed prize at the Curragh, and his efforts as a two-year-old had included finishing a half-length second to U S Navy Flag in the Group 1 Middle Park Stakes at Newmarket. He seems unlikely to start at such outlandish odds again any time soon, albeit he was well held in the Larc Prix Maurice de Gheest on his latest start.